I have only used a fraction of the material available on Myers and Watson. I have only mentioned other fools like Jen McCreight, Ophelia Benson or Greta Christina in passing, or not at all. Were I to reproduce the full chronicle here, I need a life as pointless as they; these people are simply the pathologies of Watson & Myers in an even more tedious form. The question must be faced: why bother with any of this? The A+ ranks lack the energy or principle to achieve anything serious, and as some of my commenters have pointed out, they are already going cannibal on each other. Why should another collection of loudmouths on the web bother me? Why do I not simply roll my eyes at these oily ticks, and remark “Back when I was at school, we used to line up four or five of their sort, make ’em bend over and use them as a toast rack.”? There are two reasons, one of principle and one of practicality. The principle is Zu Jedem das Seine, to cite Old Fritz. Justice is not something to be esteemed lightly. When I read the treatment dealt to Miss Smith or my colleague or Ed Rybicki, when I read the smearing of Sam Harris, Ayaan Hirsi Ali, and Richard Dawkins by people who contribute nothing, I feel my muscles lock, my teeth grind, and bile scorch the back of my throat. In other words, I get angry, very angry indeed. I am also sickened. My revolt against Christianity was in no small part because I disliked the idea that simply attending prayer twice a day, or once a week, was a substitute for actual achievement. Somehow the A+ crowd have reached a lower level: they prefer intentions to actual achievement. Take a look at their statement of purpose. They are pro-women’s rights. So they help organize funds for the local battered women’s shelter? Help support RAWA? No, instead they… well, you know this. Mencken once remarked that the Southern baptist was a degraded phenomenon, but how much worse would he be if he lost his faith? I think we may now know. The practical side is that, though I doubt the A+ ranks largely are capable of much, there is one thing that they could do: they could succeed in poisoning the case for atheism. In the same way as the modern feminists are poisoning the struggle for women’s rights at the time we need it most, and the identity politics racketeers are poisoning the anti-racist struggle, the A+ may make atheism effectively “unmarketable”. This involves a visit to a place the A+ers may have heard of, known as “the Real World”. In that distant realm, religious fanaticism has returned in a terrifying form. All across Europe we’re seeing the rehabilitation of the sort of parties we thought we got rid of at Nuremberg. Further east, the Russian Orthodox Church is the clerical arm of the Putin autocracy (and there is a significant amount of the opposition to Putin that thinks him just too liberal and bleeding heart), and in India we’ve seen Hindu fascism that may yet give us a nuclear war. Overshadowing all of these is the terrible menace of jihad, tens of millions strong, a movement that has notched up three genocides in my lifetime alone, which may soon have nuclear weapons. In this background, advocates of Reason will have a stiff fight to have any voice whatsoever. Yet the Myers tendency is determined to make this impossible. Put yourself in the shoes of a student who listens to Myers rousing call for solidarity, and in consequence decides to stand up to Islamic intimidation. And when she is arrested, accused of racism, and threatened with expulsion by her University, she looks to him for solidarity and finds him not merely failing to provide it, but actively piling on – what view will she likely have of organised atheism? I’ve read several complaints that Ayaan Hirsi Ali is willing to make common cause with liberal Christians who actually stand up to Islam over atheists who only say they will. Better get used to it, because that is the best case scenario. There are many, from our standpoint, highly conservative Christians who recognise the hand they have been dealt. Discussing the Pope’s Regensburg address (english translation here), Lee Harris argued that it was misunderstood (including by the Hitch). What the Pope is asking is, in a world that is in point of fact largely run by religion, is it Christianity or Islam that makes room for reason? And shouldn’t you be willing to defend the more rational one, even if you are not a believer in it? It may get worse still. I often thought on Sam Harris’s concern, that in the absence of a fierce secular voice that stands agains the jihad, people will turn to darker ones. A theoretical worry you might say. It has already happened. I am thinking of Peder Jensen, better known under the pseudonym Fjordman, Breivik’s philosophical mentor. Jensen began his life as a vague, center leftist. Seeing the menace of the Islamic far right, and finding no voices willing to stand up to it in his political circle, he turned first to blood and soil conservatism, and then to outright neo-fascism for an answer. And here we are. If any atheist movement is to survive and change, in reality, the minds of many, it has to demonstrate that it is in fact willing to take on the worst menaces. I’m sorry to remind people, but we stand outnumbered a thousand to one. The only thing we have going for us is the ability to appeal to human reason and cause people to change their minds. They will not do so if they see atheists as nothing more than a crowd of spoiled, self-pitying, self-important deadheads. The one good thing to emerge out of this whole fiasco is captured in the remark of Israel Shahak with which I began this essay. This tendency or syndrome has been around a long time. Now its hosts have done us all a favour and self identified and split off, isolating and eradicating its toxicity. 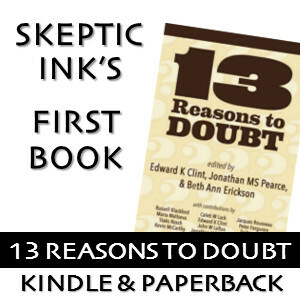 This is why I am very glad to write for Skeptic Ink. It may be a small start, but it allows us to show that there is an alternative available to pointlessness of the FtB crowd. I hope that this will be the last thing I have to write on the subject; there are subjects of far greater interest to tackle, but it was necessary to make this breach clear and unambiguous. Not such a worthwhile cause. From what I’ve read, they’re essentially the “Atheismplus” of Afghan NGOs, and are basically long on publicity and short on on-the-ground achievement, and at least a few years ago, were very quick to denounce other NGOs as compromising with fundamentalists or warlords. (Except that you can’t actually do anything in that country without dealing with some variety of fundamentalist or warlord, unfortunately.) They have very odd roots as a Maoist group in the 70s and 80s, and I’m not sure if they’ve subsequently outgrown their cult-like beginnings. 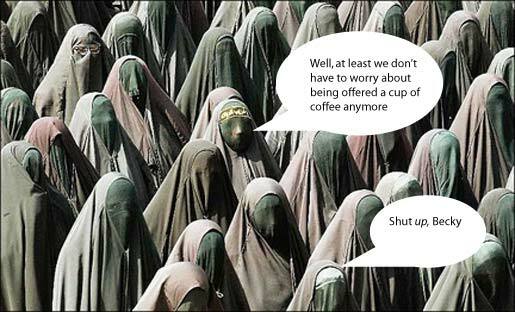 Fair enough; however, any women’s rights group in Afghanistan could do with some support. Geat finale. While I agreed with the content of your previous parts, I have thought until now the tone was a bit too aggressive or antagonizing. But in this third part you explain why this matters so much and why it is worth to voice one’s vehement opposition, especially with the connections you draw to what we face on the world stage and how atheists can get involved in the greater picture. Again, great article, and I assure you I took your words to heart. the very weird part is that I know women that were “oh wonderful A+!” and went over to post and were “hello, how many pages of rules about what I am allowed and not allowed to post?” Women that were fully supportive of Watson and the others. But they are “it’s impossible to post on A+! It’s not set up as a forum it’s set up as an echo chamber!” One top UK woman skeptic has posted on fb her frustrations, Hayley Stevens. She’s on TV, she has been battered with hate emails and more via her work to get faith healers to stop performing on city streets, she is often the subject of newspaper articles and has had an article in Skeptic Inquirer. You would think she is just the person they WANT. But she is so confused by the site, she just gave up. For people to want to know how wonderful and terrific Rebecca Watson has been doing… look at her latest APOLOGIES post on skepchick. Opps, I cut off the only non white speaker at a conference when I ended my talk with “Let’s all go to the bar!” She also seems to be spending all her time hanging with celebrities in the speakers tent, and drinking. She apologies in such way you get the feeling she should be writing “haha!” after each bit. You get the feeling, she really thinks she is so cute and quirky, she shouldn’t have to offer a true heartfelt apology, for what have truly been some bone headed actions. But hey, let’s all have another drink! That makes it OK. She’s our “leader”? A big time article, but screw skepchick and meeting with the fans (she’s too busy and why am I guessing the tent had free drinks?) No no, it’s too hot out to hang with the masses! (haha! I’m so darn cute!) sigh… she can’t even offer an apology like an adult. Keith Lowell Jensen was the last speaker for Saturday, right after Watson. The only non-white speaker was the last speaker on Sunday, Tony Pinn. Thank you :-) This gives me an excellent opportunity for a post I’d been planning. But in the meantime: “goest thou”? Really? What a perfectly beastly translation. Do be a dear and stop debasing the noble tongue of the Fatherland would you? Quite a few commentators have been saying this for a while: Atheism+ in general, and Myers/Watson in particular, are god’s gift to religious fundies. They live up to all of the stereotypes that they have always accused atheists of – that they are amoral, directionless, self-serving and, ultimately, are an extremely corrosive force against cohesive society. I really can’t think of a better way to summarise Watson/Myers than this xtian fundamentalist view of godlessness – they live and breathe corruption and destruction. The challenge is for any of the defenders of these clowns to come up with *one* example of positive work they have done. Crackergate doesn’t count, nor do Skepchick cheesecake calendars (though they have been abandoned apparently). Amidst all the noise that these vandals generate, there is not one substantive achievement to be found. Excellent post, my friend. When a science-based movement turns on science, it matters.